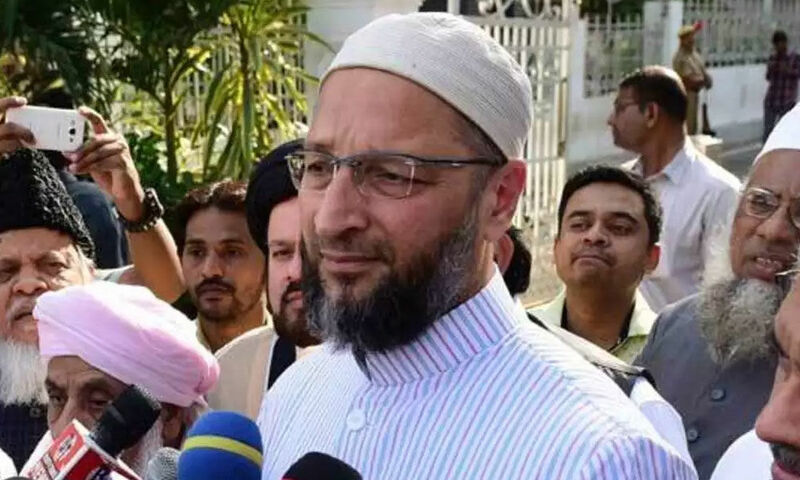 AIMIM President Asaduddin Owaisi declare assets worth over Rs 13 crore. HYDERABAD: AIMIM President Asaduddin Owaisi, who filed his nomination for the Hyderabad Lok Sabha constituency today, declared assets worth over Rs. 13 crore. His movable assets are Rs. 1.67 crore and immovable assets are to the tune of more than Rs. 12 crore. He does not own a car, according to the affidavit he submitted while filing his nomination. Mr Owaisi's wife owns movable assets worth Rs. 10.40 lakh and immovable assets worth Rs. 3.75 crore. Mr Owaisi, who is seeking re-election for a fourth consecutive term, also declared that his liabilities stand at Rs. 9.30 crore, including a Rs. 5 crore-loan taken from younger brother Akbaruddin Owaisi. His income during 2017-18 was Rs. 10 lakh, down from Rs. 13.33 lakh in the previous year. He has an NP Bore .22 pistol and a rifle worth Rs. 1 lakh each. The 49-year-old leader owns no agricultural or non-agricultural land or commercial building. His residential buildings include a house at Shastripuram, where he lives. He owns another house worth Rs. 60 lakh. He also has a share in an apartment in New Delhi.